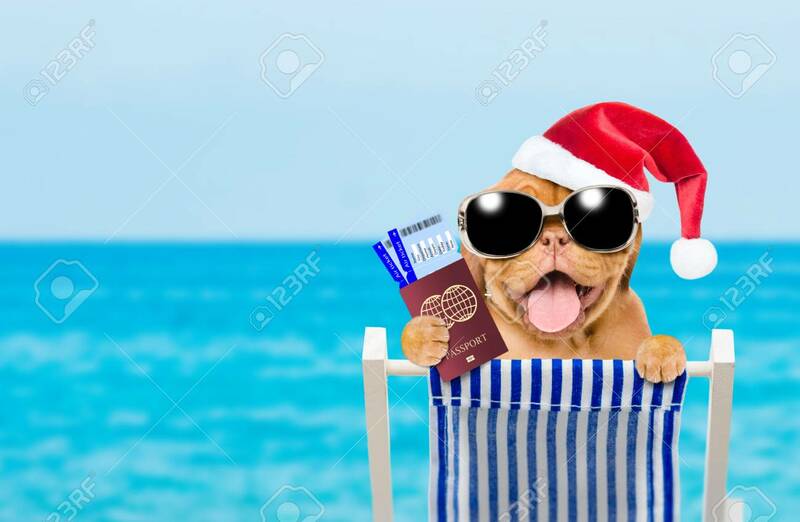 Immagini Stock - Happy Puppy In Red Santa Hat And Sunglasses In A Deck Chair With Airline Tickets And Passport. Empty Space For Text. Image 115532448. Archivio Fotografico - Happy puppy in red santa hat and sunglasses in a deck chair with airline tickets and passport. Empty space for text. Happy puppy in red santa hat and sunglasses in a deck chair with airline tickets and passport. Empty space for text.